Technological advances from album to disc have allowed artists to extend the running time of their creations giving the listening public more bang for their buck. Quite the contrary for Equanimity whose running time is less than 34 minutes which by all intensive purposes is short changing the listening public if the material were mediocre. But, this is far from the truth as Equanimity is the classic example of less means more as it introduces us to a new composer by the name of Ryan Stewart. 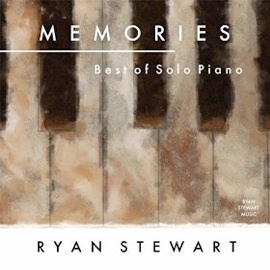 Filled with ten concise and confident compositions that are rich in uncomplicated detail, melody and passion, pianist Stewart has created one of the most memorable debuts in years. Fans of Paul Cardall may already be familiar with the name of Ryan Stewart. He was featured not only as a player on Cardall’s 2001 Miracles but also credited as the associate producer. He also co wrote the sublime title track of the same album. Cardall returns the favor as Executive Producer as well as providing Stewart with a recording label. Of course, it does not hurt that they are brother in laws but truthfully, once you are exposed to this beauty you will realize that this is a pure technicality. 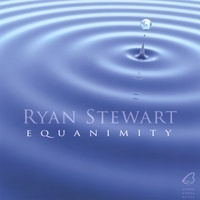 Equanimity commences with the composed and rather reflective “Released” which is dedicated to Stewart’s sister in law who passed away after her battle with breast cancer. However, the song has a hidden joy suggesting the celebration of a life now on the other side. It is followed by the gorgeous “Autumn” that features choir like effects that are hauntingly beautiful. By the third track we are greeted with an almost slow waltz in the form of “Memories”. The piano work is simple but the melodies are distinct and uplifting. At this point you will find yourself wandering the credits to find out who was involved in the orchestration. 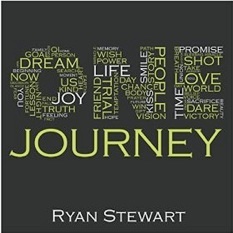 The music is composed, performed and produced by Ryan Stewart and it would appear that it is coming from his piano, synthesizer and perhaps midi files wrapped up in a warm organic listening experience. At this point you are at track four courtesy of the soft but swirling “Surreal” wondering when the exquisiteness will stop. Frankly, the gems keep pouring out of this treasure chest as though you were watching Nicolas Cage at the conclusion of National Treasure. Though the second portion of Equanimity is a little more stripped down with a greater emphasis on the piano performances the string embellishments are not completely absent. “A Beginning” continues the string superfluities but with a little less zeal. But for those of you seeking the exploration of the naked ivory keys, skip to the finale courtesy of “Carousel” that is sincere and simple. If you have not already come to this conclusion Equanimity is only as strong as its weakest link. Frankly, there isn’t one as this album has absolutely no filler and every song is moving and inspiring. So much so that Stewart’s current full time occupation as a computer architect with an emphasis on banking and internet programming may quickly become a side project. And why not as it would be confident to state that Equanimity is likely to be a lead candidate for album of the year despite the fact that it is only June. It is that breathtaking and exceptional.